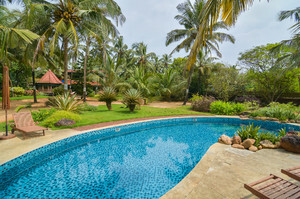 A luxury villa in Goa is a premium property for guests who demand the very best and are accustomed to a life of luxury. These premium properties offer the best of everything – lavish surroundings, décor to die for, signature amenities, privacy, location, private swimming pool, and courteous service. 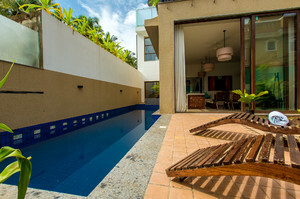 Luxury villas in Goa are available between 1 and 7 bedrooms, and can accommodate groups of 3-12 adults. 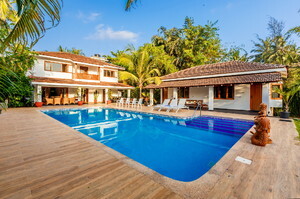 They are handpicked properties, the best holiday rentals you can find in Goa. 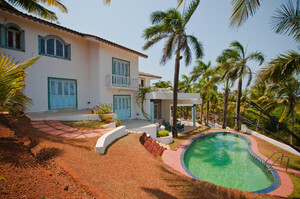 You will find villas throughout Goa, both in the North and South. Many of them are right on the beach or just 5-10 minutes’ walk away, while others are located in green and quiet upscale neighborhoods. Some of these villas are on the riverfront too – the Sal River in South Goa’s Cavelossim, or North Goa’s Baga River and Chapora River. 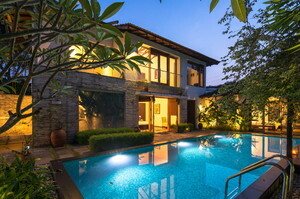 Our luxury villas in Goa are all designed and decorated to a very high standard. The biggest to the smallest details are all looked after — from games rooms and beautiful pools, to exquisite bathroom and kitchen furnishings. Do you need a private chef to take care of that special meal? Or daily maid service to keep the property pristine? You will get everything at the property. You can also hire a car or a luxury yacht during your stay in Goa. Our team of travel experts knows the properties and neighborhoods very well. 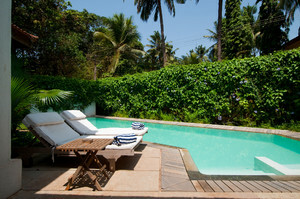 They will answer your every question and can help you choose from the many luxury villas in Goa. Just call us or send an email. Exclusive private estates just for you and your group. Security guard, power back-up, maid and chef services. Private swimming pool, sun decks, manicured lawn, barbecue. Private terrace/balcony, fully-furnished living quarters. Juicer, coffee maker, washing machine, free Wi-Fi. Air conditioning, DVD player, plasma television. Bigger rooms than hotels and resorts. Spread out for more comfort. These small homes are perfect for romantic couples, honeymooners, and small families with kids who want privacy and safety. You will have your own private garden and pool without sacrificing any of the services offered at hotels. You don’t have to share anything with anybody. The entire trained staff will be at your disposal. Bigger living spaces for a larger group! A good choice for two couples or a small family with kids! 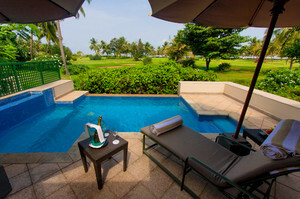 Select from an open-living layout, a traditional, or a more contemporary style for your private luxury vacation in Goa. There are old heritage Portuguese mansions too you can choose from. Each of these villas has luxuriously appointed bedrooms with en-suite bathrooms. 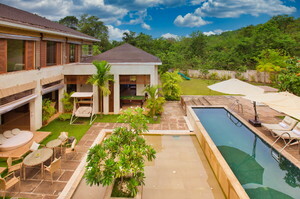 Tropical charm, privacy and space spread over two-levels of high-luxury accommodation. 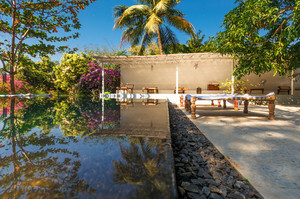 These luxury villas in Goa have manicured gardens with private pools. They are perfect for larger groups, between 6 and 12 vacationers. You can holiday with all your guests, friends or family, perhaps a group of 3 or 4 families. You can have a small gathering, a reunion. 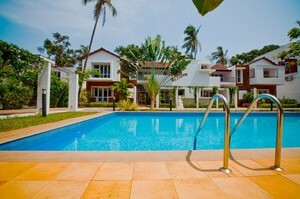 These villas are located throughout Goa, in both the North and South. You will find them at Baga, Candolim, Calangute, Vagator, Colva, Benaulim, Cavelossim, Palolem and many other beaches. 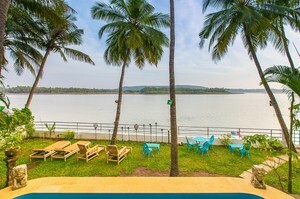 They are close to the party hotspots, popular sightseeing attractions, and the nice, quiet and relaxing beaches of Goa. There are restaurants, cafes, bars, pubs, beach shacks, and shops close to these villas. 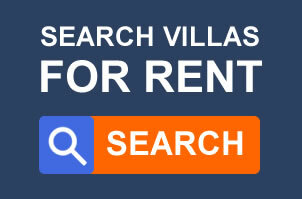 Luxury villas in Goa are available for both long-term and short-term rent. You can stay for just a few days or rent accommodation for several weeks. The per-person cost is less than comparable hotels and resorts. The bigger the size of your group, the more money you save. 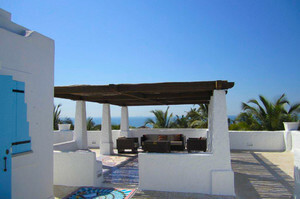 The cost also varies depending on location, season, and how close the villa is to the sea. These premium villas are best for those who appreciate a perfectly maintained high-quality home that comes with all the modern amenities you get at star hotels and resorts. 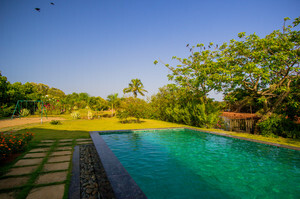 Our luxury villas in Goa are surrounded by nature, and sometimes offer gorgeous sunset views. Often, they are beside a river or very close to the sea, so you can take a dip and come back to relax on the poolside in your private villa.